With the 2017 Volkswagen Tiguan, you don’t have to choose between performance and comfort. Enjoy a quiet, upscale cabin while managing turns with finesse. Harness the raw power of this mid-size SUV’s turbocharged engine – which offers 200 horsepower and 207 lb.-ft. of torque – without sacrificing a hushed, peaceful ride. 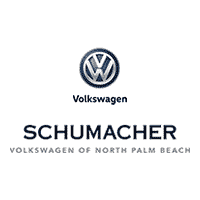 Show off the stylish Tiguan in North Palm Beach, Florida. FOR QUALIFIED BUYERS. $0 DOWN LEASE PLUS TAX, TAG, TITLE, $0 FIRST MONTHS PAYMENT, $995 DEALER FEE, $675 BANK ACQUISITION FEE. OFFER EXPIRES 4/30/19. VIN: 3VV1B7AX6KM033573.